parenting | Notes from an often Calm Mother. A welcome reminder for us stay at home Mums! … when each day is the same as the next, it’s because people fail to recognize the good things that happen in their lives every day that the sun rises. You may own myriads of recipes already, passed down through family members, or archived from multiple different sources. There are so many out there, and if I could, I’d try them all! However, not only can making toddler meals be time consuming, it can be disappointing when bub doesn’t like it after all the trouble you’ve gone through! As referred to in my last post, mealtimes can be smooth sailing when you know how (probably more important than what bub likes) your toddler likes his food. In most cases, bub will enjoy his food better when mushy or saucy. 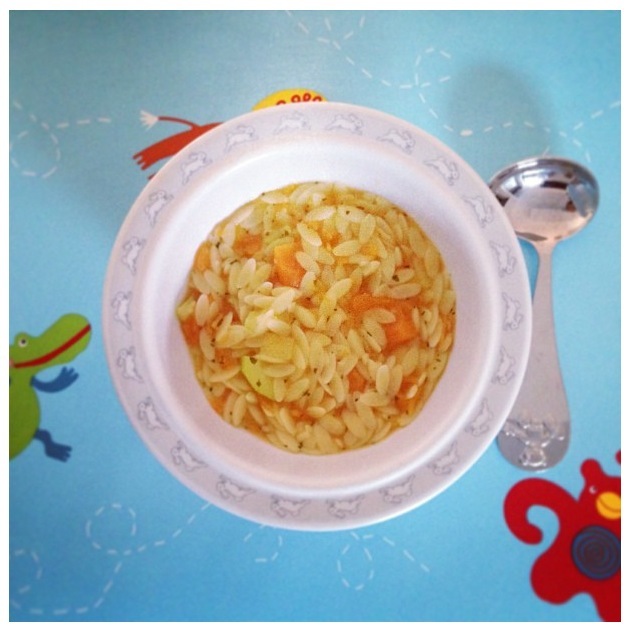 The following recipes are helpful for the transition from toddler meals to adult meals. You know.. that period when you’re short on time and wish bub can eat chicken tikka masala with the rest of the family! I try to buy organic where I can but if not, these meals are still be jam-packed with nutrition… and are pretty much one-pot-freeze-able-wonders. But best of all, bub will love them! In another pot, cover zucchini and sweet potato with water and bring to boil. Cook until tender – cubes should fall apart with the press of a fork. Lower heat. Do not drain – the water is part of the nutrition! Stir in stock, parsley and a splash of water if required. The consistency should be soft, chunky with a bit of broth. Cool thoroughly prior to serving. Heat olive oil and butter in a saucepan. Cook onions and garlic until soft. Add rice and stir to coat each grain. Add stock and cover. Cook for 12 minutes, but check after 10. Stir well and add more stock if required. Once cooked, stir in the chopped tomatoes, corn and peas. Cook for a further 2-4 minutes, until veggies are soft. Stir in tuna and oregano and heat through. You may wish to mash up the risotto if bub is a young toddler. There you go – a couple of easy, nutritious meals for bub that’s yummy enough for the whole family and easy enough to whip up! Hope you enjoy them. Food fussiness amongst toddlers is a common issue. 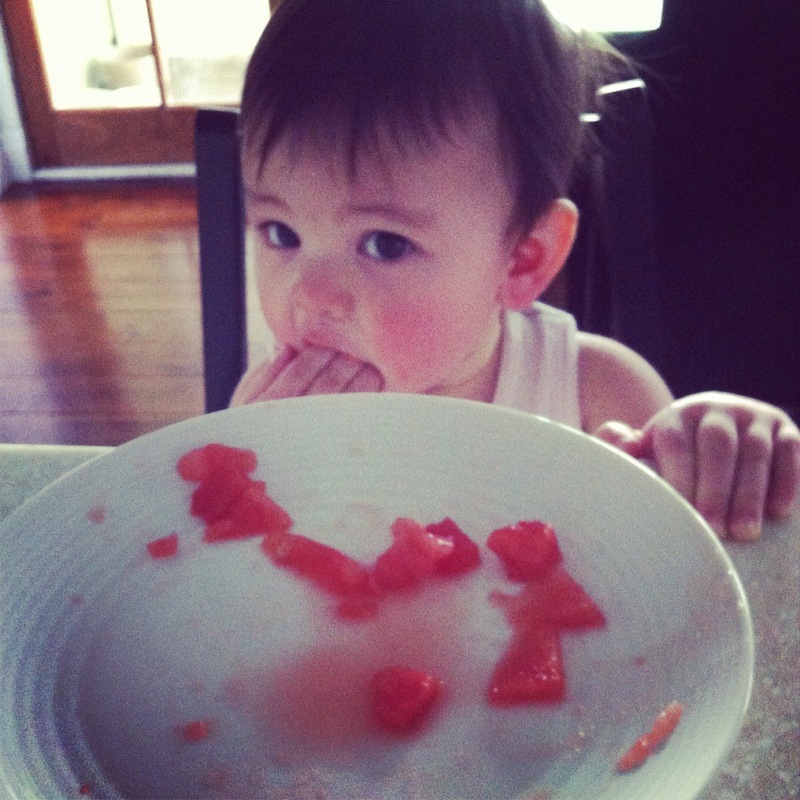 I’ve heard many mums complain about their toddlers not eating fruit, veg, or not eating full stop. It can be frustrating not knowing what to do or why they won’t eat. There are unbelievable amounts of information and tips out there for getting your little ones to eat. But is it too much information? If we could change our method of feeding, what would we do differently? Surely even the kids know what we’re up to by now.. hidden veggies in bolognaise? C’mon we’re on to you! Why can’t we just put a bowl of carrots and peas on the plate and have our children eat it happily? Well.. would we eat it? There could be a myriad of reasons as to why kids are fussy eaters. One reason, according to many experts, is too much cow’s milk could suppress a child’s appetite which can lead to some nutrient deficiencies such as iron. They also recommend that children aged 12-24 months should drink no more than 500-600ml of dairy milk per day. I’ve seen for myself the affects of kids who drink too much milk – they crave a lot of red meat, some even prefer them under done! Whilst I’m no expert in children’s diets or eating and the following tips are merely my opinion plus a bit of research, I can say that my 22 month old Ava does eat everything I put in front of her. She even says “Mmm… Yum” before gobbling up her meal. 2. I started feeding Ava homemade pear puree at 4 months and introduced her to new flavours every week for a couple of months. Ava’s foods are always homemade – no additives and usually organic. 3. She would always have her solids first, before drinking her milk. 4. I introduced the same food in different textures, half mashing/half puree-ing, before completely graduating her to mashed foods at around 6-7 months. 5. 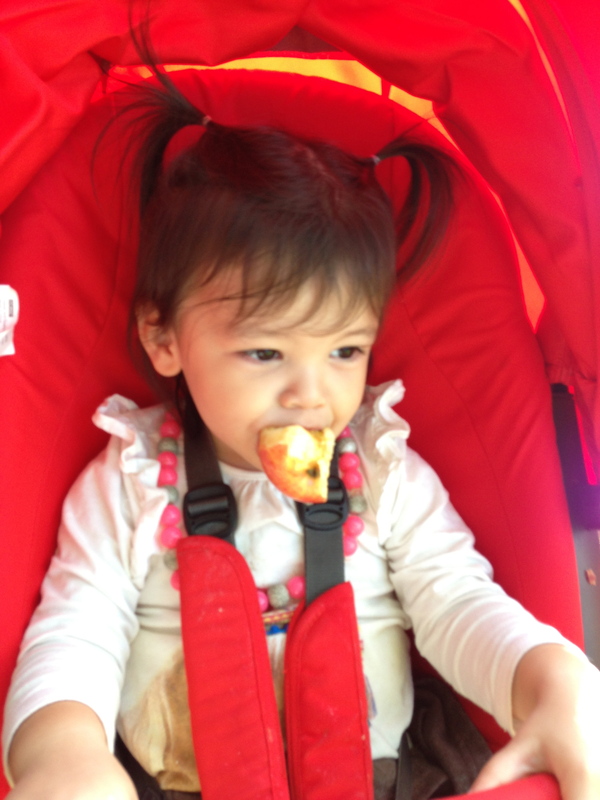 By 12 months, there is an obvious pattern in her eating – she liked things soft, chunky is fine, as long as it is soft. She also likes her food to be coated in liquid of some sort. So if she didn’t like broccoli, I would make them softer, if she didn’t like potato mash, I would add more milk. And I started making risottos for her – it’s soft, creamy, easy one-pot wonders and freezes well! 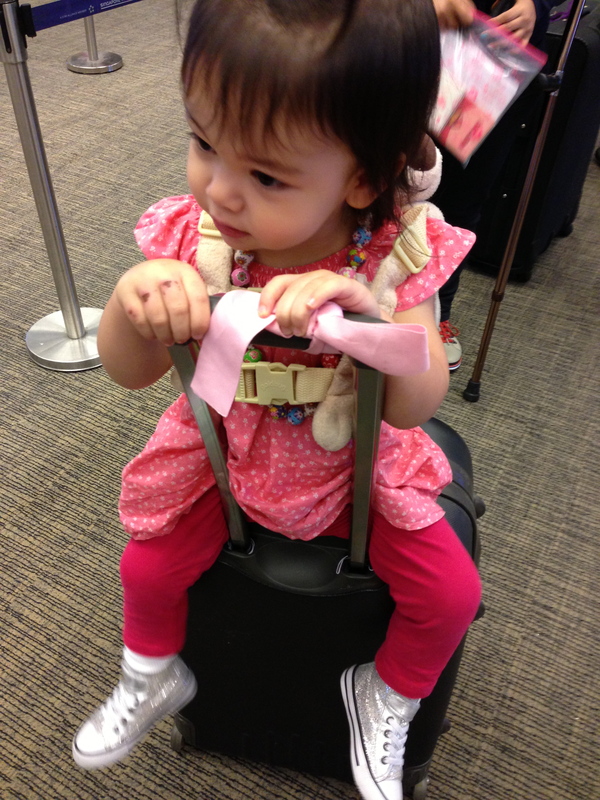 I think it is important to learn from your toddler and to listen to her needs. Rather than give up because she’s not eating her veggies, knowing her better will help you understand the meaning of the issue. I know this may be harder for working mums, but get a report from the daycare teacher, or babysitter to get a better idea of bub’s eating habits. I strongly believe that early eating habits sets the standard for future eating habits. 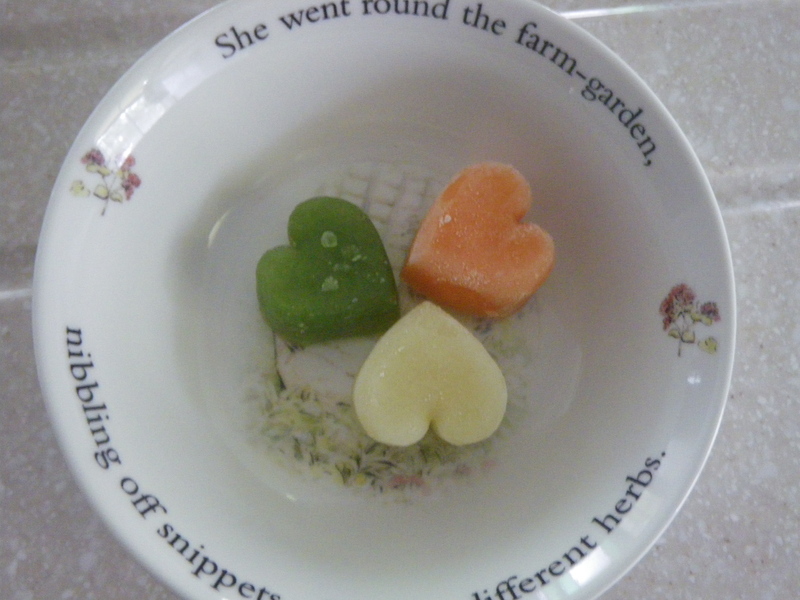 Having said that, I have never made a big deal of how carrots, for example, are good for her. Of course it’s good, that’s why I give it to her. We are the role models and toddlers will respond to what we say is good. 7. No matter how well a toddler eats, there will be moments where they will simply refused to eat. To this I would say to Ava in a CALM tone of voice that unfortunately she will have to remain in her chair until she eats. And that I will not respond to her whinging until this happens. Guess what? With a bit of persistence, it worked! I couldn’t believe she understood me! 8. Another important eating habit – save the lollies, ice cream, chocolate! Dessert for Ava is 3 parts Greek yoghurt to 1 part flavoured yoghurt. Naughty treats once in a very rare while is okay, but they should never be used as a bribe! 9. These steps may not work for every mum and all toddlers are different. The key is to be consistent, patient and forever nurturing. I once read an empowering thought that I have used as my mantra – “You are the best person for your child”. Let’s aim for that! Technology. Love it or hate it? If you’re reading this from your phone or tablet, you probably love it. I certainly do, so does everyone else in the house – hubby and toddler. 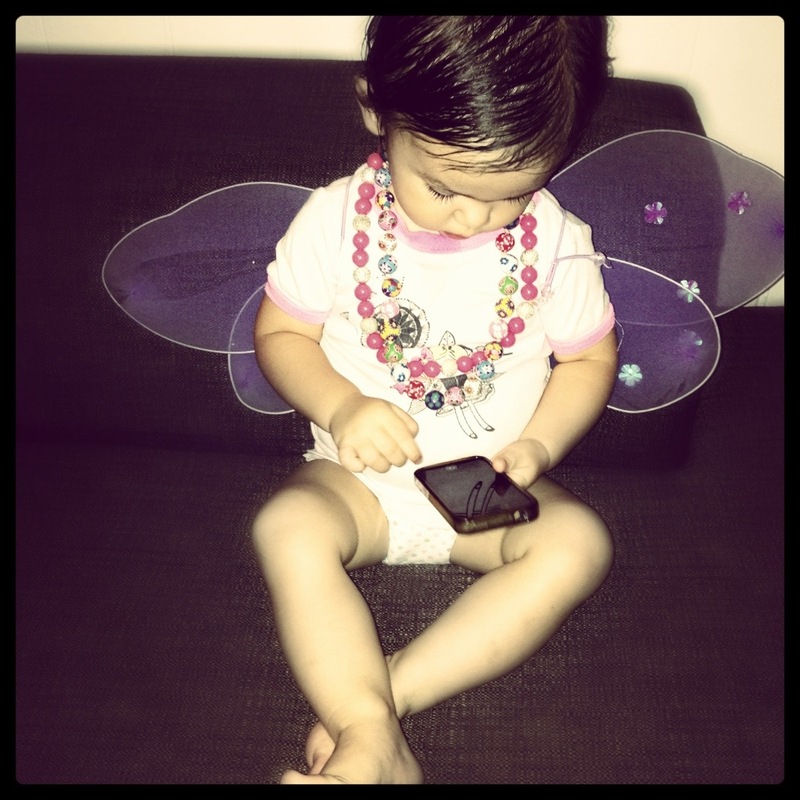 There is some controversy surrounding the exposure of technology for toddlers. Some are against it, some embrace it. In my opinion, educational apps encourage brain development and early learning. Our toddler Ava has been exposed to technology – the iPad since I started downloading educational apps for her at 6 or 7 months old. Is it the bright colours that she is attracted to? Or is it the interaction she receives? Don’t get me wrong, it’s not as though we allow her to be on the iPad 24/7 tapping at Angry Birds. She is allowed 1.5-2 hours max for educational apps only. The iPad serves to challenge Ava’s mental development and so far it has done just that. At 20 months she can complete a 12 piece puzzle and recognize letters, numbers and animals. She has also shown me one or two shortcut skills! Not bad for a toddler who doesn’t go to daycare. It occurred to me that she is more techno at her age than I was at 25! Some may argue that similarities exist between sitting a child in front of a tablet and sitting a child in front of the TV. Yes, both can serve as babysitters when you need to cook dinner – I’ve been guilty of that. Who hasn’t! So.. Is iPad the future of learning? Research has shown significant development in autistic kids from using iPad; many classrooms around the world are equipped with iPad; grandparents everywhere now have access to the world right at their fingertips. Clearly the evolution of learning has advanced enormously in just a few years. Who knows what a classroom would look like by the time Ava goes to high school but any high tech curriculum will undoubtedly stem from the iPad.